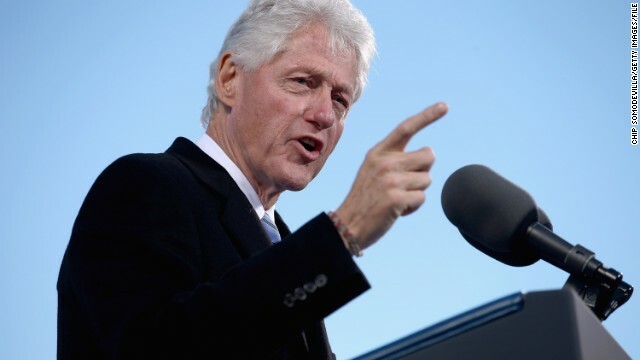 (CNN) - Former President Bill Clinton suggested the Republican Party has become more extreme, saying Richard Nixon would be considered "a flat-out communist" compared to the people running his party today. Kicking off a speech to a progressive think tank, Clinton said that to be successful in a life of public service, "you have to be obsessively interested in people and you need to be interested in them as individuals and not just as some collective body." (CNN) - Addressing the firestorm Thursday over the George Washington Bridge controversy, New Jersey Gov. Chris Christie declared, "I am not a bully." The statement, which was made in response to a reporter's question, is the latest of a long line of existential declarations made over the years by politicians in a wide variety of circumstances. Below is a light-hearted look back at some memorable statements politicians have made over the years addressing what it means "to be" (or not to be). Washington (CNN) – When Elvis Presley wrote Richard Nixon a few days before December 21, 1970, he had an explicit goal in mind. 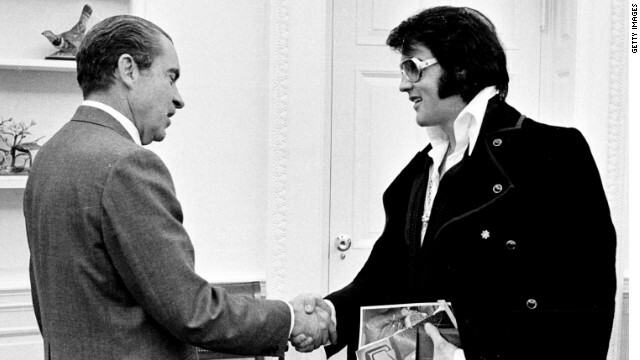 "Sir, I can and will be of any service that I can to help the country out," wrote Presley. "I can and will do more good if I were made a Federal Agent at Large and I will help out by doing it my way though my communications with people of all ages." 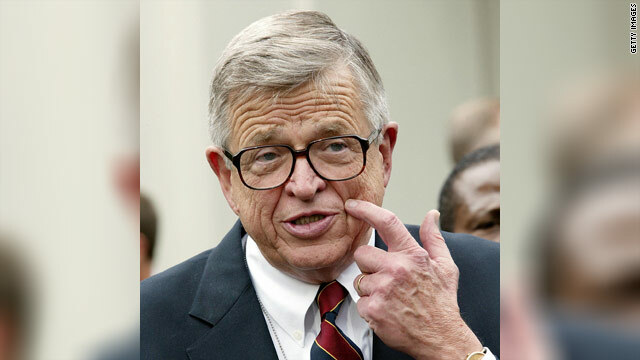 (CNN) – Chuck Colson, a Watergate-era "hatchet man" for President Richard Nixon who became an influential evangelical leader after serving time in prison, died Saturday afternoon, according to his website. He was 80. His death came just over three weeks after Colson "was overcome by dizziness" while speaking at a conference and rushed to a northern Virginia hospital. Surgeons operated on him for two hours for a brain hemorrhage. (CNN) - Pardoned but hardly chastened, ex-President Richard Nixon defended his administration's secrecy and wiretaps in combative testimony before a Watergate grand jury following his resignation, newly released documents reveal. 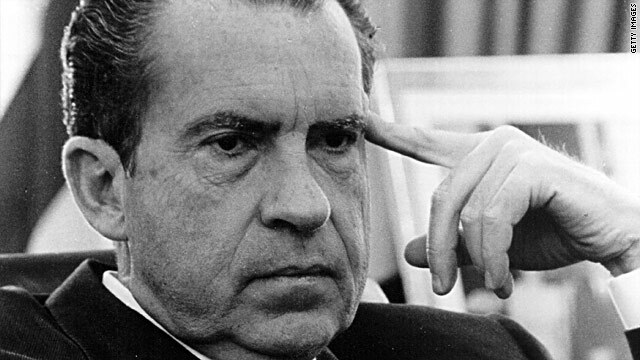 Archivists released nearly 50,000 pages of records and about 45 minutes of audio recordings Thursday, including hundreds of pages of transcripts of Nixon's June 1975 testimony. Special prosecutors were still trying to document the breadth of the scandal that had driven him from power nearly a year earlier, while Nixon did his best to defend his presidency. Washington (CNN) – The claim is ubiquitous on Fox News Channel: we're "fair and balanced". To many observers, that's a way of saying Fox is a conservative foil to what some believe is the liberal-leaning mainstream news media. 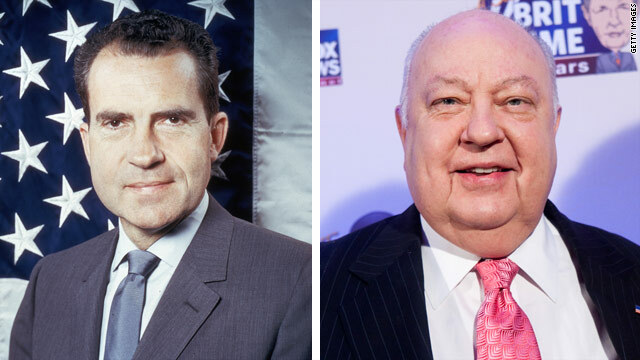 Was there a blueprint for Fox News Channel in the early days of the Nixon administration? A fascinating document from the early-1970s, obtained by CNN from the Nixon Presidential Library, is entitled "A Plan for Putting the GOP on TV News." The memo openly says it's an idea to avoid "the censorship, the priorities and the prejudices of network news selectors and disseminators." The stated goal: "To provide pro-Administration, videotape, hard news actualities to the major cities of the United States." 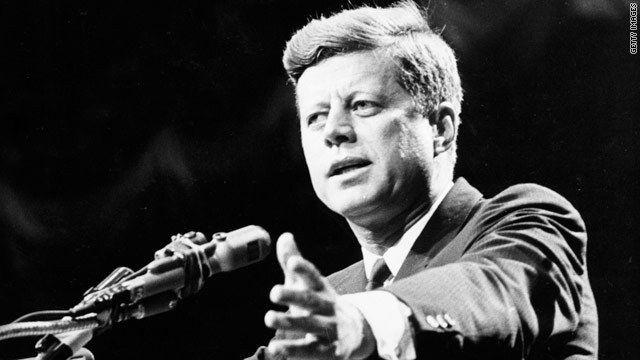 (CNN) – Nearly fifty years after he was assassinated, President John F. Kennedy remains the highest rated modern president, according to a new Gallup Poll. Kennedy earned an 85 percent retrospective job approval rating, the highest among the nine U.S. presidents who have served in the past 50 years. Ronald Reagan ranked second with a 74 percent approval rating.